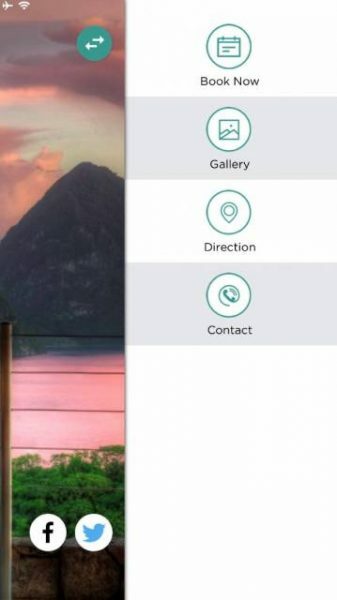 A mobile application, which is designed to give visitors a firsthand view of Dominica before they arrive here, has been launched. The ‘Explore Dominica’ mobile application, which was created by a Dominican company Mirage Technologies, was launched on Thursday 24 May 2018 at the Financial Centre. 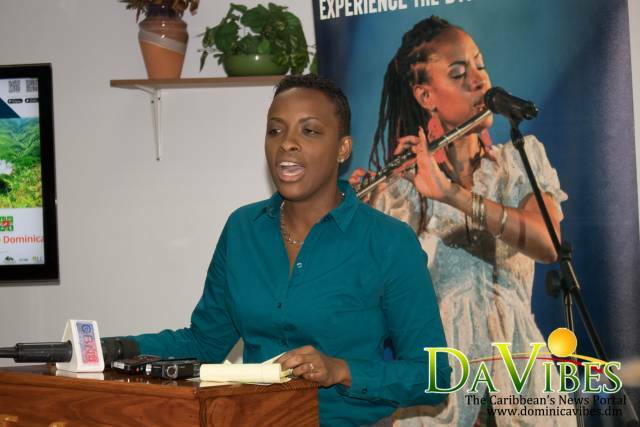 “Explore Dominica is simply a mobile app that will allow visitors to experience the things that we have to do on the island in a new and innovative way,” representative of Mirage Technologies, Netisha Durand said. ‘Explore Dominica’ is available for both Android and Apple devices and can be downloaded on both the Google Play and Apple Stores and there is no user fee. “So as soon as you search for Explore Dominica the image on the far left is what you will see after you have successfully downloaded the app,” Durand said. 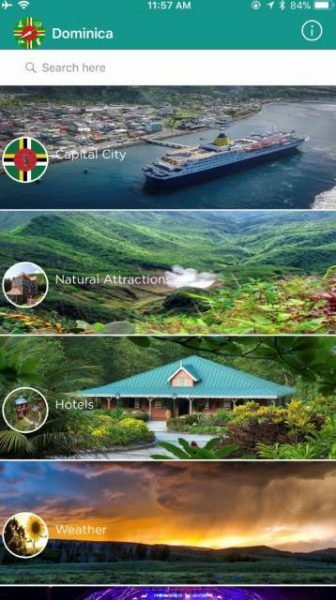 Explore Dominica currently has eleven sections; Capital City, Natural Attractions, Hotels, Weather, Events, Emergency Numbers, Drone Lines, History, Rentals, Eatery and Activities but can accommodate other categories. Durand said people should download the Explore Dominica app because it makes information on everything to do on the island easily accessible. “It gives visuals with description, so yes we can tell the visitor this place looks great, they’ll see a couple pictures, but in addition to the pictures they can browse through whatever it is they want to do and select based on that,” she explained. The Explore Dominica Application, which has been in the making for over a year, has been endorsed by the Minister for Culture and Tourism. 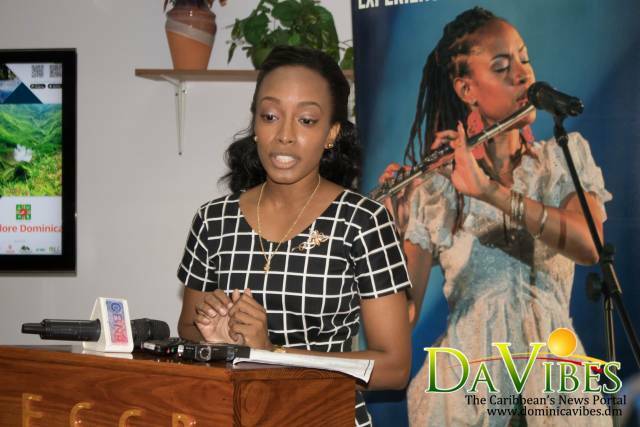 “I’m very pleased that there has been an app that has been created by one of our very own young entrepreneurs from Dominica,” Minister Tonge said. 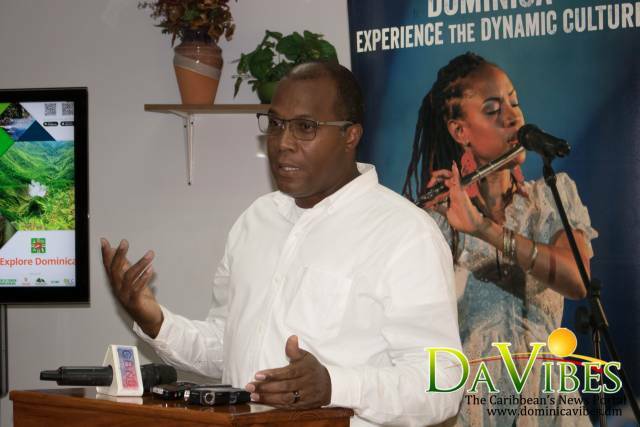 “This app has gone through many iterations and I think right know what we have is a solid platform that will allow visitors, even before they come to Dominica, to map out what they are going to do in Dominica,” Mr. Tonge added. He also encouraged persons involved in the tourism industry; tour guides, restaurants, car rental companies, to advertise their businesses on the Explore Dominica app. 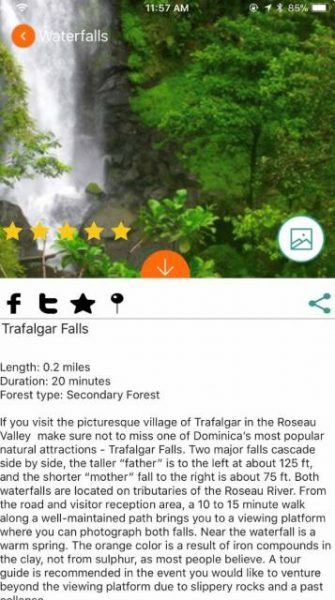 The Ministry of Tourism has partnered with Mirage Technologies to ensure that the correct information is placed on the app so that “when persons come to Dominica and view those sites they will have a fantastic time”.